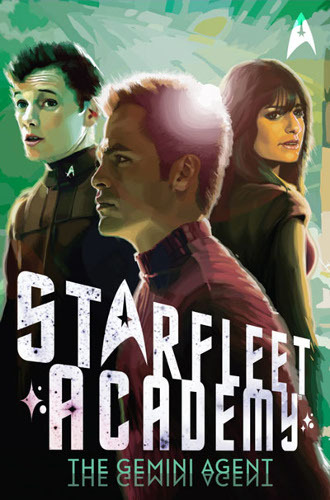 The third novella focussing on the characters in the alternate timeline set up in JJ Abrams' 2009 film sees the cadets reaching the end of their first year at the Academy. If the stress of exams wasn't enough, Kirk is having black-outs, and some pretty strong allegations aimed at him. This is certainly the best of the books in the Academy series so far. The characters come across as more mature and the setting much more closely resembles a real university, with the campus full of love and drinking rather than fighting and tradition. That said, there are some silly things like the concept of 'dead week' - a week dedicated to pranking - which felt like a bit of unnecessary padding. The strength of this book is in the relationships between the characters - the plot seeming to take second place and ultimately being a bit on the bland side. Kirk and Bones' friendship is shown to be developing well, and each of them gain a love interest - a subject which is given a slightly more realistic approach than in the previous books. The book also introduces Pavel Chekov, and gives him much more attention than he got in the film, which I really enjoyed. Overall I think this could have made it as a full length novel rather than this format - expand the plot and the detail a little and it would have had much more appeal. As it is the style and presentation of this is just a little on the childish side to be appropriate for the teenage market it is apparently aimed at. Still, the best in the series so far. I decided to read this book because it is the first novel to be set in the parallel world created in the recent Star Trek movie, and despite its billing as a 'Young Adult' novel. 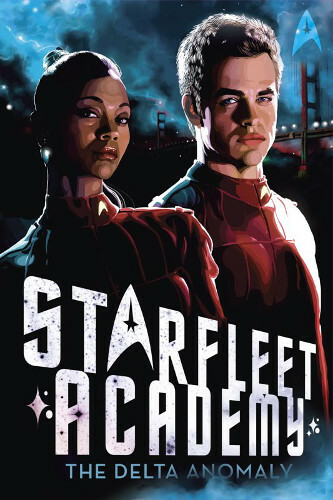 It is set at the Academy while Kirk, Uhura and Bones are cadets, and sees them dealing with their studies, relationships and an alien invader who is stealing human organs. Unlike other 'young adult' books I've read recently, this one takes it to the extreme. The writing style is that I would expect in a book aimed at a child of around ten, while some of the content I would like to think would be more suitable for someone in their mid-teens. As an adult reading, it comes across as very fast paced and lacking in detail. Chapters tend to end mid-scene with me wanting to find out what happened next, only for the next to jump forward several hours. The plot is reasonable. It's a good mix of student life with adventure, and the two storylines intermingle well and feed off each other. Perhaps the non-academic aspects of studenthood are simplified and juvenilised a touch, but that may be a result of either the young target audience or it being based on the American eduction system. The plot will have a little more value to longer term Star Trek fans, who will get some of the implied references, but actually this kind of irritated me, as I wish the author had been a little more original. The characters are by far the best thing about this book. Kirk and Uhura are portrayed exactly as in the recent film, and Bones and Spock make good back-ups to the pair, however Spock does feel a little shoehorned in. There is also some confused continuity regarding how far through their studies each of the characters is, with some disagreement with implications from the film. Will I continue to read this series? I'm not yet sure. At first I thought that the writing was too young for me, but now I don't know if that will stop me. I might try the second one to see if this is how it will settle down.